A THIRTEEN year old boy has tragically drowned in a dam at Lebanon Zone 2, a suburb of Ashaiman in the Greater Accra Region. He was said to be swimming with his five other friends when the unfortunate occurred at round 2:40pm yesterday . They further stated that children were swimming with pieces of polystyrene material (cork) when the deceased lost truck of his piece. Unfortunately, his colleagues could not raise alarm for neighbours to come to his rescue, as one of them attempted to save him but failed. 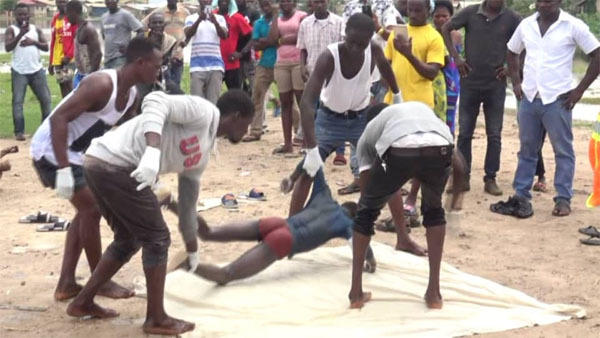 Officials of the National Disaster Management Organisation (NADMO) and traditional authorities visited the scene before the body was removed from the water. Police personnel took possession of the body for further investigation. The corpse has been deposited at the Tema General Hospital morgue for preservation and autopsy.